For whatever reason, Verizon has remained uncharacteristically silent since we saw Samsung stand on stage and announce the new Galaxy S4. While T-Mobile, AT&T, and US Cellular have either announced pre-order dates or scheduled launch times, Big Red hasn’t even acknowledged that the device exists. Thankfully, we saw their version of the device cruise through the FCC at the end of last week, so we know it is indeed on the way. And today, courtesy of a long time and trustworthy DL source that dropped some goodies into our inbox, we now at least know what the device will look like once it does arrive. 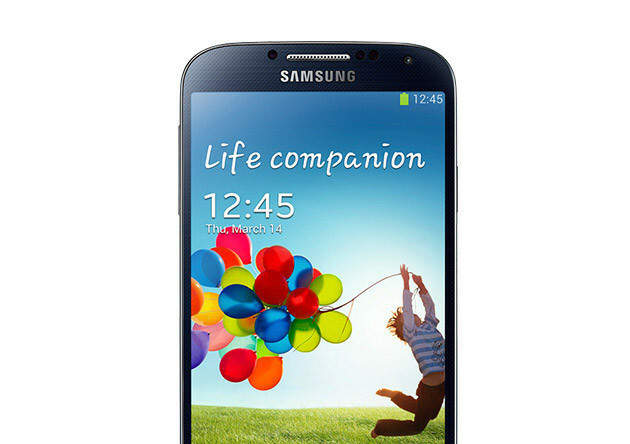 What you are looking at are the official press renders for Verizon’s version of the Galaxy S4. Yes, you are looking at the evolution of the 2013 and beyond vision of Verizon’s marketing department. Clearly, the branding of the home button on the Galaxy Note 2 was only the beginning. 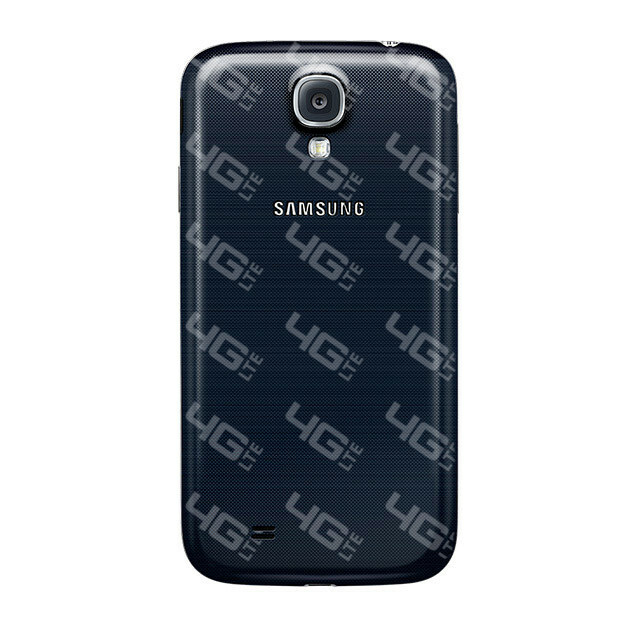 With the Galaxy S4, we’re seeing “4G LTE” logos diagonally tiled along the entire backside. All I can say, is that I hope the logos don’t fully wrap themselves around the sides, as this painful sight could easily be removed with a new battery cover. While that will obviously cost you extra in order to rid yourselves of this eye-sore, it will be worth the extra $15 or so. If the tiled backside wasn’t enough to ruin your Galaxy S4 appetite, wait until you see the new physical home button on the front of the device. Over the last year, we have seen Samsung stick to a one size fits all approach to their phones, similarly to how Apple does it. 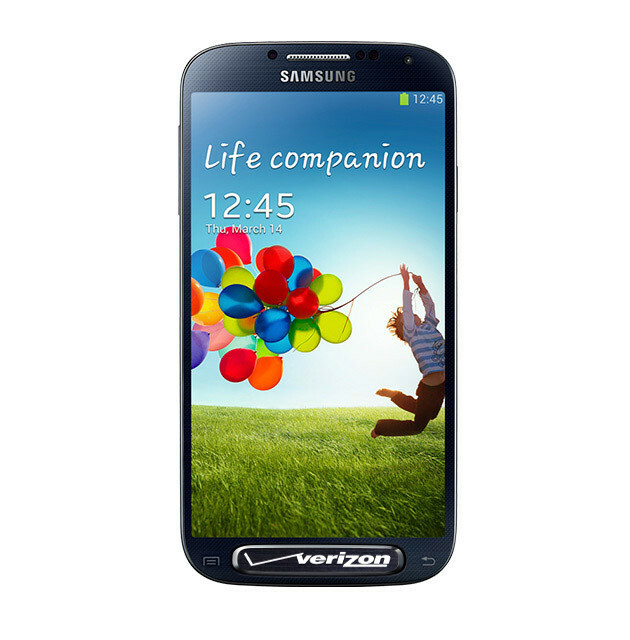 However, with the GS4 we’re seeing Verizon flex back. We’re now understanding why we have yet to hear about the phone from Big Red – the modification to this new and extremely large home button is clearly going to take longer to produce. We’ve seen delays of devices like the HTC One due to their new UltraPixel camera, a situation that appears to be repeating itself here with Verizon’s Galaxy S4. The last we heard from sources suggested that we wouldn’t see the device until mid-to-late May. If these modifications in hardware are anything to go by, I may start to wonder if it won’t be later. Dying to hear your thoughts. Update: If you are just now finding this post, yes, it was an April Fools’ joke. Look at the date.